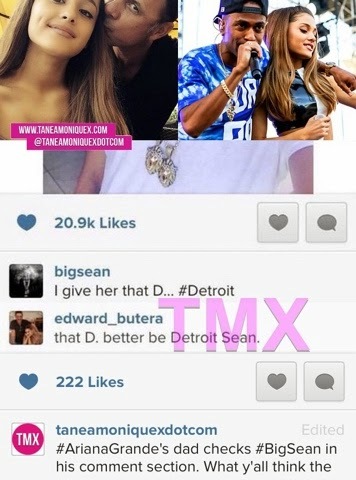 Tanea Moniquex | Celebrity Entertainment News, Fashion, Music and Advice: Ariana Grande and big Sean split, her dad to blame! “They both deeply care for each other and remain close friends,” their reps tell Us Weekly in a joint statement. “We kindly ask that the media respect their wish for privacy regarding this personal matter at this time." Although they're blaming the split on lack of quality time, many believe the break occurrd because of Ariana's dad!